This image was made in New York, 2008 round the corner form a hostel I was staying at just off the Northwest corner of Central Park. For me it feeds my curiosity with the power and limitations of the photographic image and with North America. 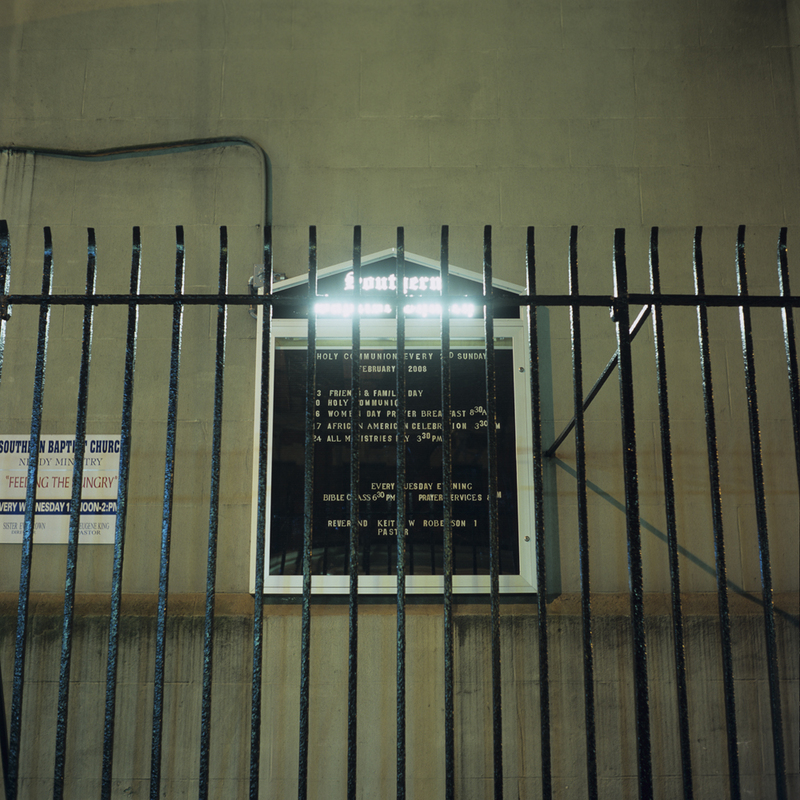 The bright neon lights seem at odds with the railings, locked cabinet and humble lettering that details the various weekly activities taking place at the church. Similarly this selection of events is both inviting and inclusive at the same time as serving as a reminder of American history. It would be disingenuous to suggest this image was carefully considered, in fact I am often frustrated to recall my eagerness to make the image above experiencing the scene in person. As I continue returning to this image it continues to confuse me, gradually becoming alien – perhaps this is why it has never found a true home in any collection or grouping of images.